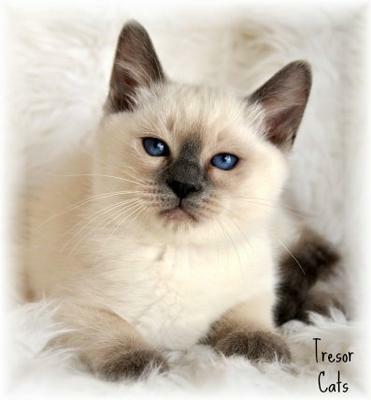 Tresor Cats is based in Suisun City, Northern California. We have been breeding CFA & CFF registered Applehead-style Siamese and Balinese kittens since 2003. We breed all four color points including Lynx. Kittens are sold with health guarantees, spayed/neutered, microchipped, vaccinated, wormed, vet-checked, and pre-spoiled! and our Meezer of the Month! Information provided on this website is not intended to replace professional advice. If you have any concerns at all about your cat's health, please consult a vet. Copyright © 2009-2019 Caroline Haines, Life with Siamese Cats. All rights reserved.